National Geographic Learning është një partneritet ndërmjet National Geographic Society dhe Cengage Learning, një shtëpi botuese e suksesshme për botime shkollore, arsim të lartë, materiale mësimore të gjuhës Angleze dhe materiale referenci is a partnership between the National Geographic Society and Cengage Learning, a leading educational publisher of school, higher education, English Language Teaching, library and reference materials. At National Geographic Learning, we believe that an engaged and motivated learner will be a successful one, and we design our materials to motivate. 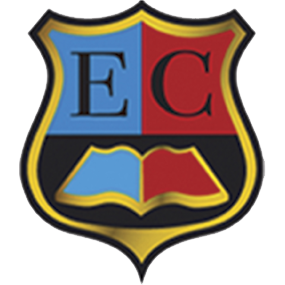 We believe that learning can be exciting, inspiring, and transformational. Through our learning programs, we want learners to experience the excitement and joy of learning that National Geographic explorers, scientists, writers and photographers experience. We share real stories from National Geographic that increase learners' knowledge of the world and everything in it. 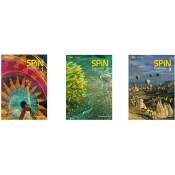 We illustrate these materials with stunning National Geographic photography, video, and illustrations that bring the world to the classroom and the classroom to life. Language(s): British EnglishLevel(s): Pre-A1OverviewGet up close with Look, a seven-level serie..
Levels :Pre A1OverviewGet up close with Look, a seven-level series for young learners of English.See.. Language(s): British EnglishLevel(s): A1OverviewGet up close with Look, a seven-level series for you..
Look Level 2 BrE Teacher’s Book with Student’s Book Audio CD and DVD..
Level : A1OverviewGet up close with Look, a seven-level series for young learners of English.See som..
Look Level 3 Teacher’s Book with Student’s Book Audio CD and DVD..
Level :A1OverviewGet up close with Look, a seven-level series for young learners of English.See some..
OverviewGet up close with Look, a seven-level series for young learners of English.See something rea.. Language(s): British EnglishLevel(s): A2OverviewGet up close with Look, a seven-level series for you..
Look Level 4 Teacher’s Book with Student’s Book Audio CD and DVD..
Look Level 5 Teacher’s Book with Student’s Book Audio CD and DVD.. 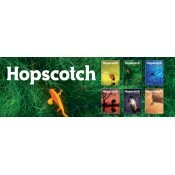 Language(s): British EnglishLevel(s): B1OverviewGet up close with Look, a seven-level series for you..
Look Level 6 Teacher’s Book with Student’s Book Audio CD and DVD.. Language(s): British EnglishLevel(s): Pre-A1Get up close with Look, a seven-level series for yo..
Look Starter Teacher’s Book with Student’s Book Audio CD and DVD.. Language(s): British EnglishLevel(s): A1, A2, B1OverviewExplore the world with your students and dis.. 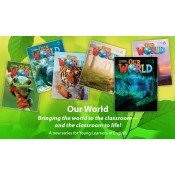 Wonderful World 1: Lesson Planner with Class Audio CD, DVD, and Teacher's Resource CDROM ..
OverviewExplore the world with your students and discover its wonders – all while developing the Eng.. 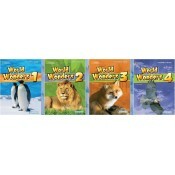 Wonderful World Level 2 2E Lesson Planner + Class Audio CD + DVD +TRCD.. Wonderful World Level 4 2E Lesson Planner + Class Audio CD + DVD + TRCD.. Wonderful World Level 5 2E Lesson Planner + Class Audio CD + DVD + TRCD.. Lesson Planner + Class Audio CD + DVD + TRCD..